2 GB SD Card for storing photos, music and downloadable content. Do you remember the day's when experiencing 3-D Entertainment meant wearing those uncomfortable cardboard glasses, clad with one red lens and one blue lens ( "lens" meaning a piece of colored cellophane)? Those day's are LONG GONE baby! The Pioneers in the gaming industry, Nintendo, have come up with a All New advanced model to add to their popular line (number #1 selling handheld gaming system in the U.S.) of DS handheld gaming systems! Just released in March, the Nintendo 3DS offers the ULTIMATE 3D gaming experience ( an experience like NO OTHER), no glasses required! In addition to the 3D advancements, there are several feature upgrades that DS user's will notice and appreciate as well. The circle pad allows you to manipulate the game more quickly and efficiently. While with the motion sensor, some games (compatible games required for the feature to apply) simply require you to move the 3DS unit itself (up, down, side to side) to manipulate the game. While the 3D animation is INCREDIBLE (really who ever thought that we would be able to experience 3D entertainment without the annoying glasses?!) If you prefer a less in-depth 3D experience you can "dial down" the effects to a comfortable level with the 3D Depth Slider. If you prefer to play without the 3D, the option to turn it off is there as well. I am completely blown away by all of the incredible technology available in the all new 3DS unit ( and B is in total jaw dropping AWE! ), it truly offers a customizable gaming experience and is unlike any other gaming system currently available on the market. With the FIRST EVER (monumental!) 3D Display, the Nintendo 3DS has catapulted us into the future of gaming (and have at the same time made a huge stride in their advancement of 3D Technology!). This is something that you don't want to miss folks, the Nintendo 3DS ushers us into a new concept in gaming, that I'm positive will be a HIT (amongst children & adult gamers alike) for a long time to come....it's a HUGE hit in our household! 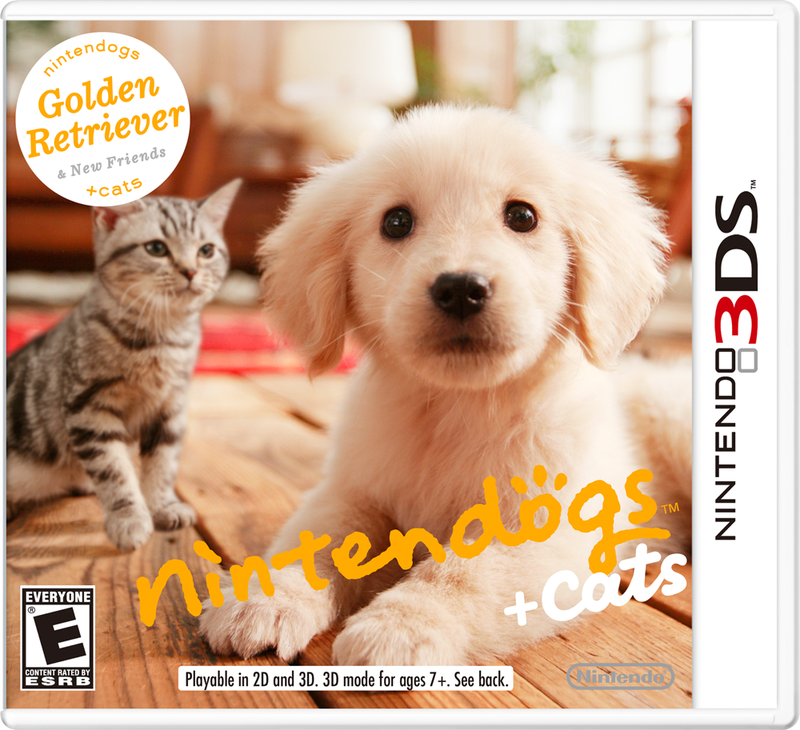 There are several 3D games available for the Nintendo 3DS, including Nintendogs + Cats (see below for additional information). 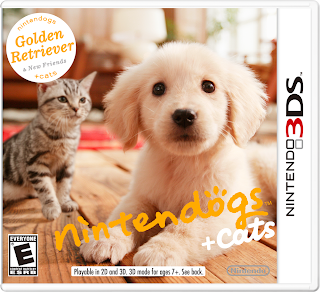 Nintendo 3DS is also compatible with Nintendo DS games. 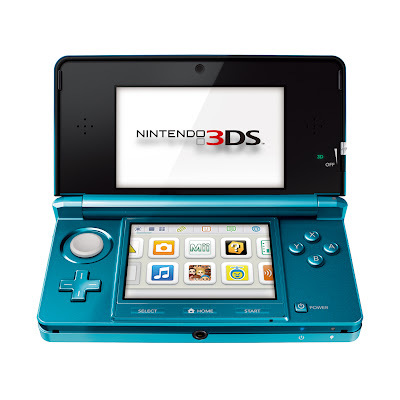 The Nintendo 3DS would make a wonderful addition to any Easter Basket!